What’s going on $avvy readers! How does time go by so fast? We are already in December! Hope you guys had an incredible Thanksgiving with your family and friends. 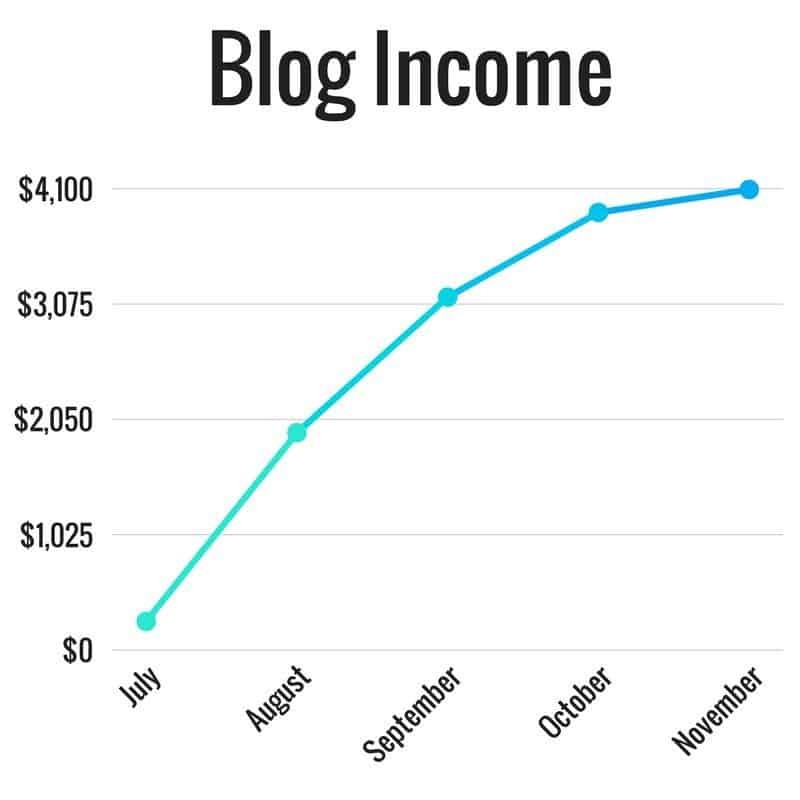 If you are new to our site we started tracking our blogging income a few months backs. It’s a great way to track the progress of our blog after I left my job to work on our site full-time. It’s also a great way to follow along if you if you are planning on starting your own online business. It’s insane to think a few months ago I was working yet another 9-5 job dreaming about the day I could leave and start to work for myself. I can honestly say I have never been happier in life. It’s an amazing feeling waking up each and every day excited about “work”. I am so blessed to have the freedom to work from home! The biggest lesson I have learned since becoming an entrepreneur is you have to stop caring what others think. Life is way too short to have others hold you back from going after your dreams. After I was able to get over that mental hurdle, making the decision to follow my dream was easy. I was more worried about being able to pay the bills than what others were thinking of me. A bunch of you have wanted to start your own blog after seeing the success that we have had, and we highly recommend it! If we had not taken the leap of faith in starting our own blog, I would still be stuck bouncing from job to job trying to find my true happiness. Now after leaving my job, I am regularly earning a full-time income from our blog. As much as I LOVE talking about money, sharing our blog income is still a challenge. It’s still very strange to strip down and share how much I make each month. It’s a lot of pressure month after month to try and beat last months numbers. I know that sounds stupid, but it’s true. Luckily it’s working out pretty well. It’s unrealistic to think our blog will continue to grow at the same pace it has the last few months. Blogging is definitely a long-term game. I force myself to have a macro picture of our business a majority of the time. These income reports keep us extremely motivated and focused on growth. We hope that they are as valuable to you as they are for us. If you are interested in starting your own blog we have a FREE 7-day email blogging course that you should totally check out. Before we started blogging, I was unhappy with trying to find the “perfect job”. I tried being an insurance salesman, office manager, Amazon store owner, UPS driver, and jail deputy before I had finally realized I would never be happy with a “normal” job. Wait…being a jail deputy was NOT a normal job, take my word for it. The one thing every job took from me was my FREEDOM. My freedom to be creative, set my own hours, work anywhere, and earn my OWN income. I was sick of feeling suffocated and forced to work for someone else’s money. One of my favorite quotes of all time, “You either work for an entrepreneur or you become one“. After leaving my job to run our site full-time, I replaced my income within a couple of months. It was an incredible feeling to have a dream and make it become a reality. I like the mindset of never living with regret. But in all honesty, I regret not starting our blog sooner and chasing my dreams as an entrepreneur. This was another solid month for sponsored posts. This was the first time I personally reached out to a company to see if they wanted to work with us. I was glad we did! If you want to learn more about getting sponsored posts for your own blog check out Financials article on how she makes $3,000 per month from sponsors. We ran a promotion for our readers this month. We offered a free 30-minute blog coaching call for anyone that started their blog with our Bluehost link. We are no longer offering this promotion, but it’s something we will keep in our back pocket to drive sales in the future. VIPKID has been an incredible online side hustle. I taught for less than 2 hours every morning and made $20/hr. Our traffic was down significantly (~65k page views) which was a little surprising due to Black Friday and Cyber Monday happening. We did make some significant changes to our Pinterest strategy which might have caused the low traffic as well. The good part was our income actually increased with less traffic. I have made the tough decision to put teaching with VIPKID on hold. Both Brittany and I really want to focus December on the new courses we purchased and growth of our blog. The good part is I can always start teaching again anytime I want. More than 150 people have taken our FREE 7-day email blogging course and we have received incredible feedback. We go over everything you need to know to start your blog, drive traffic, and earn your first income. From the bottom of our hearts, we want to help others chase their dreams and succeed! If you are apprehensive and have questions about starting your own blog shoot us an email at [email protected] We will be more than happy to chat with you! 1. Making Sense of Affiliate Marketing ($197) – This was the first course we ever decided to take. Honestly, this course should be one of the first things you invest in when starting your blog. Michelle put her heart and soul into this course to help new bloggers learn the in’s and out’s of monetizing a blog. 2. Flourish With Facebook Ads ($399 Price Increased, using code Kelan50 you can save $50)- This is the second course we purchased. I am actually glowing that we finally have a course to teach us how to run profitable Facebook ads. Monica designed this course specifically for bloggers which is so awesome. We have been looking for a Facebook ads course for months and finally found the perfect one. Next month we will update you on how both of these courses are going for us. We always like to remind our readers that blogging is 20% content creation and 80% marketing it to the right people. 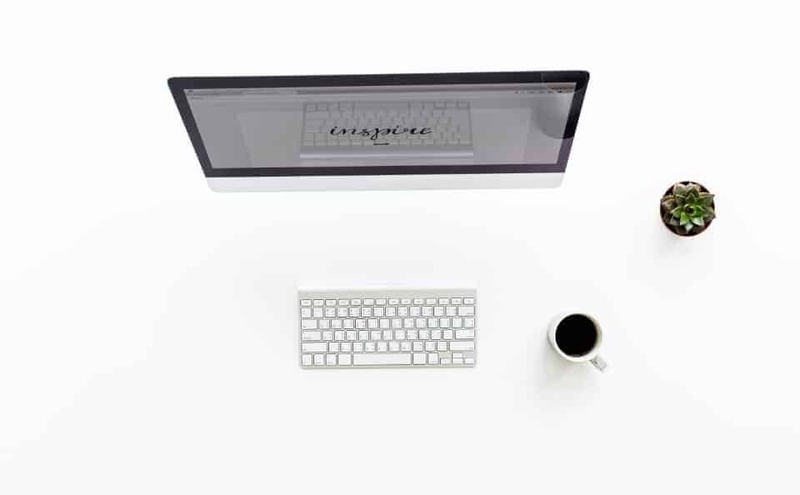 If you are struggling to gain traction with your blog we offer 1-hour blog coaching sessions that are very beneficial. Since time is limited we are not cheap, but we guarantee we will provide an immense amount of value. Below is our monthly breakdown of our blog traffic and social media growth. This is another great tool we use to analyze our efforts and to ensure we are spending our time effectively. Every social media platform we grew from ZERO followers. It’s crazy looking back at how far we have come. We have spent a significant amount of money on new blogging courses for this upcoming month and we are not done. This month we are really focusing on taking new blogging courses. One of the best investments you can make for your blog is investing in good courses. Most of my time is going to be spent learning about Facebook ads and branching off a digital marketing business from our blog. With that being said, it’s the last month of the year and we still want to finish on a high note. As always our goal with our blog is to produce amazing content that helps our readers live life better. If you read last months income report we mentioned getting started with investing in Bitcoin. We are happy to announce we are currently up ~50% on our $3,000 investment. As T$C we are always looking for ways to improve our budget and increase our net worth. We have hit a good stride with our finances. We are currently nesting away more than 25% of our income and that’s with me only taking a $500 paycheck from the blog. We are continuing to chip away at Brittany’s low-interest student loans (3-4%). Since she is a teacher in New York we are planning on getting $5,000 of her student loans forgiven. The only reason we have not eliminated her loans yet is due to the low interest. The return on our money is much greater by investing leftover money. I actually wrote an article on this concept of paying off your student loans too fast. It’s a pretty controversial topic, but I promise it a great read. Our old beater cars are still running strong with no repairs last month. We drive a 2005 Toyota Camry and a 2006 Hyundai Santa Fe. Both with well over 100k miles on them. Talk about saving money, we have NEVER had a car payment and plan on keeping it that way. We are both VERY excited to celebrate Christmas with our family’s this year. This time of year is always so magical. We are so blessed to have Jesus guiding our lives in such a positive direction. Monthly featured question: How do you get added to group boards on Pinterest? This is a great question and very important for any Pinterest strategy to succeed. Group boards on Pinterest are basically boards that have multiple contributors that pin to them. Joining group boards is an incredible way to get your content in front of hundreds of thousands of new people each month. When you join group boards you get access to all of those followers of the board. It’s absolutely incredible! See what boards authority bloggers are pinning too. Find the owner of the group board. They will always be the first person at the top left. Go to their profile and find their website. Once you are on their site find an email you can contact them with. Email the group board owner asking permission to be added as a contributor. Always explain how they can benefit from you, not the other way around. If you can’t find an email or website, direct message them on Pinterest. Be patient as getting added might take time. Once you are accepted be sure to read and follow the rules so you do not get removed. Now that you are on a few group boards start pinning your content to them on a regular basis. We use Tailwind to do this automatically and it saves us SO much time! Just remember that a year from now, you’ll wish you started a blog today. Do you want to be stuck at your 9-5 job you dread each and every week, a job with little fulfillment, working for someone else paycheck? Put in the work now so you can enjoy your financial freedom in the future. Instead of watching another episode of Stranger Things tonight why not start your blog. Wow, really love the detail you guys put into this post. It’s great to see what other bloggers are going through trying to grow their blogs and actually make money with it! Just signed up for your email list as well – looking forward to some helpful tips that I can use to make more money with my own blog. Thanks Stefan. We really enjoy writing our income reports to be as helpful as possible. That’s great Kelan, congrats! I’ve enjoyed watching your progress. Thanks Bruce really appreciate it! Thanks Shirley, really appreciate you stopping by! Love the honesty, it’s just like Pat Flynn’s blog. Would love to see you grow as much as he has! P.S. I’ve been looking for a WP theme to steal, and was considering using the same as you guys. Go for it! It’s been great for us.